As you probably know, over Valentine’s weekend The Coaches Console hosted its first-ever live event, Lifestyle LIVE! It was amazing! Fabulous! Fantastic! 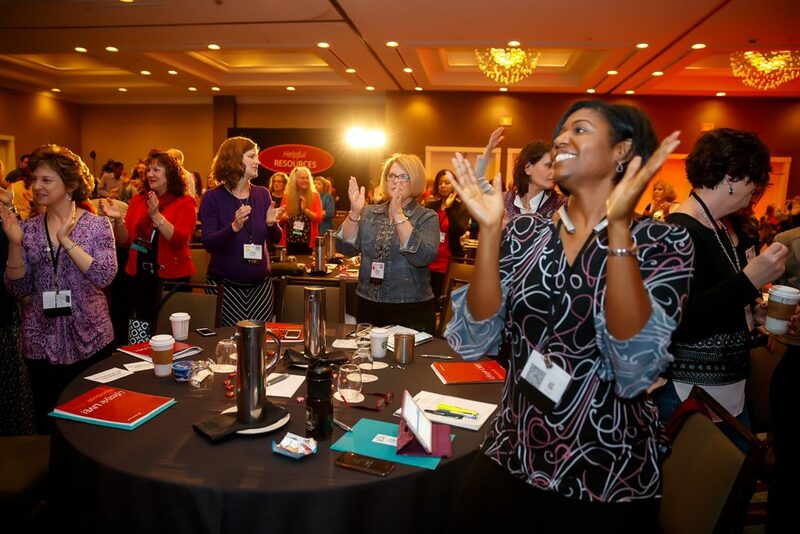 More than 100 coaches joined my team and me in Atlanta for three full days, and we spent those days creating rock-solid business plans, strategies, and relationships designed to ensure attendees could fall head-over-heels in love with their businesses this year! Of course, it was a learning experience for coaches—and for me, too! You’ve probably heard me say that life is research, and in every situation, each of us should look at what went well, what didn’t go as planned, and what we will do differently the next time. You’ve probably also heard me say that I love to practice what I preach! 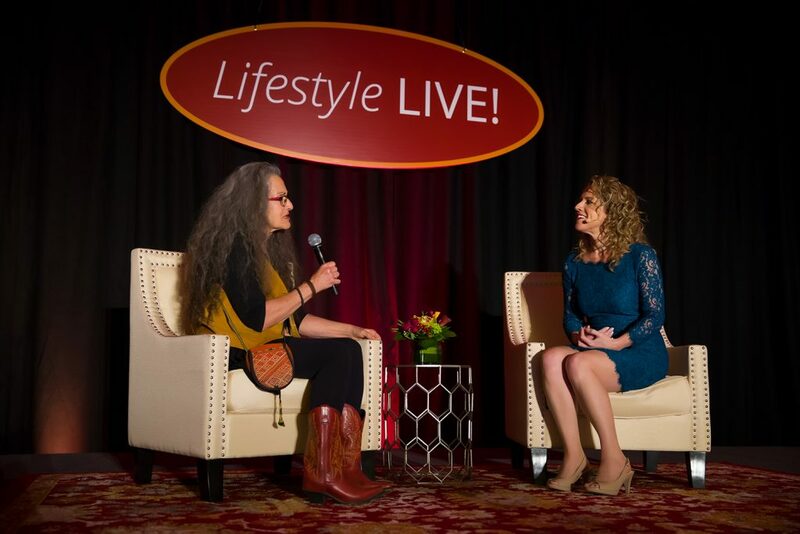 That being said, I wanted to share what I learned from hosting Lifestyle LIVE! When you don’t know what you don’t know, don’t try to figure it out on your own. Invest in people who can support you in creating outrageous success—even (and especially) if it’s your first time or you’re just getting started. Whether this means hiring someone to run the sound for you or hiring an assistant to be the runner so you can stay in the spotlight, the idea is to ensure you’re supported as you deliver the content you’ve worked so hard on—and an exquisite experience for your attendees. With the right support and guidance, all of the members of our team, including me, had the support to focus on being our best selves and creating great results right out of the gate. Before hosting Lifestyle LIVE! 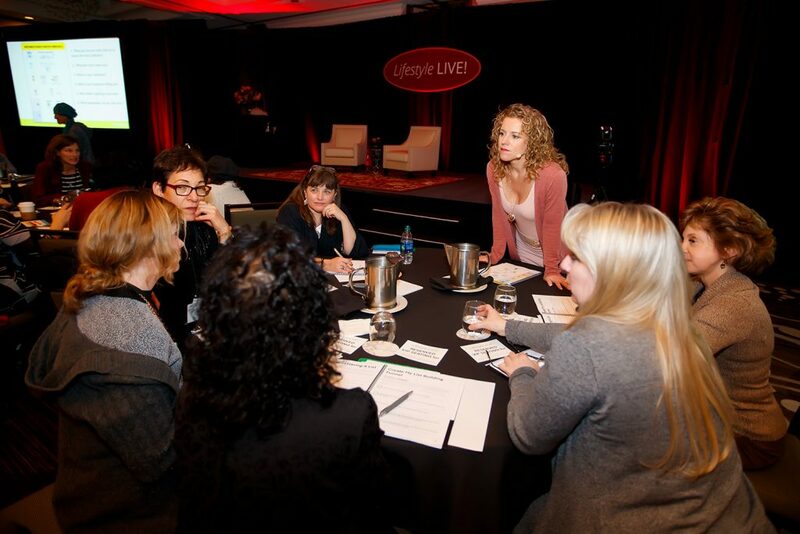 I knew my team and I were in a place of not knowing what we didn’t know—after all, this was our first live event! I wanted to set us up for the greatest chance of success, so I took a huge risk and invested in a company that specializes in event consulting, strategic venue selection, and event production and management. They’re the best at what they do, and I knew their guidance and direction would allow our team to pull this off as seamlessly as possible—and it did! With the pros taking care of all the things outside our zone of genius—like seating, meals, and AV —we were free to focus on delivering the most exceptional content and magical experience for our attendees. Before you get started, do a Focus Forward Session to identify potential pitfalls, and to create possible solutions. In other words, create a Plan B. Life is unpredictable … and therefore, so are live events! It’s inevitable that at least one or two activities won’t go as you plan or expect them to. But that doesn’t mean they go wrong—and it is possible (and important) to do what you can to anticipate these potential changes, and to reduce your stress around them. This minimizes fear and doubt and allows each team member to step into his or her confidence and create the best possible content, material, and results. Three months before our live event, I gathered all involved team members together and we had a brainstorming session. Each of us identified our fears and potential pitfalls and obstacles. From there, we mapped out and brainstormed solutions for each of these items. The interesting thing was, as we brainstormed, we found that some of our Plan B solutions were so fun, we decided to incorporate them into the Lifestyle LIVE! experience! Plan far enough in advance so that you can ensure all the details are handled—beforehand. This opens your energy and soul so you can focus your attention on creating an exceptional transformational experience for your audience. If your event is approaching and you spend the final days rushing around dealing with details—food, phone calls, printing materials, cutting videos, preparing PowerPoint presentations—your energy will be depleted and your focus will be scattered! Taking care of all the details well ahead of time will enable you to relax and focus as you head into the final days before the event. As a team, we worked our planning from two directions. First, as soon as we announced we were doing a live event—in September—we made a list of what needed to be done before the event so we knew approximately how long it would take. Venue selection played a role in setting the date, too, so we selected the venue, lined up a date, and began to reverse engineer our activities to match our to-do list. Second, to ensure we had everything done in advance, we identified a deadline well ahead of the event date. We then figured out what needed to happen, when, so we could focus on the right activities in the right order and get prepared in advance. And the Pros I mentioned in item one, above … they were significant in making sure we knew EVERYTHING that we had to plan and prepare for, so we had no surprises. Give generously of your content. When you give generously, you can’t go wrong in terms of serving your people. The better you serve, the more likely your audience members are to want to work with you after the event. I’m not saying you should give away the whole horse and saddle, but don’t be afraid to go deep! Your ideal clients will choose to work with you further because they want the support and expertise you can offer—long after the event is over. There’s no need to reinvent the wheel! I built this event around the Roadmap to Success—it’s a topic my team and I already know a lot about and have taught countless times (to certain degrees). Many of the coaches in the TCC community haven’t had exposure to our Roadmap to Success. And those who had (clients, Bootcampers, etc.) hadn’t heard it in the new ways I was teaching it—or, their perspectives have evolved since the first time they learned it. You can never learn the basics and fundamentals too many times! As coaches, we’re not selling our services, we’re being OF SERVICE. If you’ve crafted your content and experience in such a way that creates transformation for people, then compelling them to join you in another program so they can continue to get better results than they would on their own is as simple as extending an invitation. If you’ve given generously, then they’ll understand how very much you have to share, and they’ll be more likely to accept your invitation. First, I made sure the content we set up and organized in a way that naturally led people to (1) experiencing transformation and (2) asking for more support if/when they needed it. I also put in place structures that empowered the fast-action takers and fast responders to implement on their own everything they learned at the event. Finally, I clearly presented the value of getting your business set up and launched, bringing in the clients and revenue, and creating the impact they desired … and, further, the benefit of them doing that quicker, faster, and better than they could on their own. When one makes an invitation it’s simply for that – quicker, faster, better results then they could on their own. It’s okay for people to see you in your vulnerable states. This is how your attendees can relate to you (because you’ve walked a path similar to the one they’re walking now), and it’s what deepens the trust they have in you. I was unapologetically me! I wove in personal stories about my dad (who happened to be in the room), and personal experiences I overcame on my own journey of setting up and starting my business. During those moments when I was vulnerable—for example, when I cried onstage—I didn’t hide it or apologize for it. Create anticipation in all that you do. Surprise and delight in the content and resources you share. Don’t just give something away—put it in context. 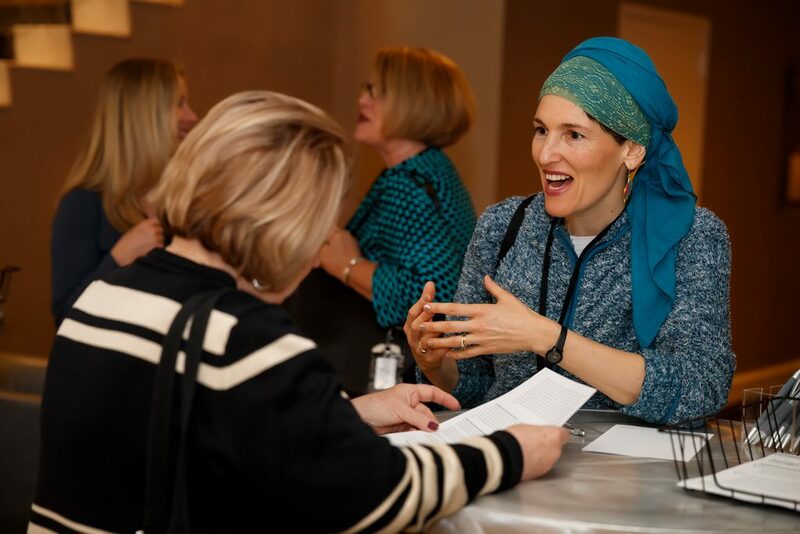 Tell attendees about something you’re giving away, and let them know how valuable it is! Then, when they’re really excited about it, give it away. It’s way more fun that way. While my team and I created a remarkable workbook all attendees received at the start of the workshop, we also gave out numerous worksheets we provided to people when we knew it would make implementation easier for them. Self-care … before, during, and after. Organize yourself and your team so everyone arrives at the event fueled up and overflowing with energy. Keep an exquisite level of self-care going during the event so that during the long hours and intense sessions, you and your team members continue to give of the overflow. Finally, build in at least a full day (if not three full days!) of self-care after the event to allow your body to process the adrenaline you experience during the event. Part of our pre-event planning included self-care for each team member. They organized their tasks and deadlines in a way that would include their own version of self-care (i.e. a massage, a walk, a lunch with a friend, a yoga class, etc.). Then, during the event, I made sure the entire team sprinkled in self-care (healthy snacks in the team room, staying hydrated, getting sleep, moving their bodies regularly, etc.). And finally, part of our event planning also included building in time post-event that included a lot of down time and more self-care (massages, naps, sleeping in, etc.). Self-care should not be a reward for productivity, but a precursor for it … and part of the overall plan! In other words, don’t fill every single moment with content. People may ask questions or share stories, and sometimes these events take your content in wonderfully unexpected directions … and you don’t want to feel rushed when this happens. Always leave space for the magic of a live event to unfold. The Universe will dazzle you. I packed the Day One agenda pretty full of content so we could hit the ground running. On the second day, though, I knew people were starting to experience “aha” moments, think of questions, and experience Villains creeping in. So instead of filling my entire 90-minute teaching sessions with content, I planned for 60 minutes of content and 30 minutes of magic. On Day Three, I planned for 30 minutes of content and 60 minutes of magic. I admit, as the event facilitator, it was a little scary to have that “open space,” but I knew I was capable—and I knew the Universe had my back. Maintain your momentum after the event. You’re not done when the event is over … in fact, you’re just getting started! Plan your onboarding sequence before the event so that afterwards, you can quickly and easily get people onboarded into the program you invited them to during the event. You want to make sure you connect with them quickly when the event is over, so they’re still energized and excited about their next step. The way you handle this onboarding gap—what transpires between the time they sign up and the time the program actually begins—is significant in the way participants commit, show up, and create results and momentum in your program. Before we even arrived in Atlanta, my team and I had the first 10 email messages created and uploaded in our Console System, ready to be triggered as soon as someone in the room said “YES” to our program. These messages are the onboarding process we use to ensure new clients are welcomed, immediately engaged, and able to begin creating wins and gaining momentum right out of the gate! This process is critical; it sets the stage for how clients will show up, commit, and get results. So even while we were dancing, having fun, and celebrating, enjoying our Welcome and Orientation lunch and connecting with coaches who were in the room, people who said “YES” were receiving email messages with the support they needed to get started right away. Look at your full financial picture—and if you’re not good with numbers, hire a bookkeeper or CPA who is. So many people sugarcoat the investment necessary to put on a live event. Knowing your real numbers—upfront costs, fulfillment costs to deliver the program you sell there, etc.—will help you create realistic goals you and your team can strive for. I assigned one dedicated team member to create a budget, track our expenses, and oversee the numbers. Then, we met before, during, and after the event to keep an eye on expenses, investments, and potential revenue. Again, we wanted this to be a surprise-free element! Hosting a live event is an incredible experience in so many ways. Not only is it a powerful way to deliver rich content in an energy-charged environment where magic happens, but it’s also a great tool in terms of business growth and development. While Lifestyle LIVE! was a wonderful three days, I’m always researching—looking for ways to streamline and organize as well as possible. 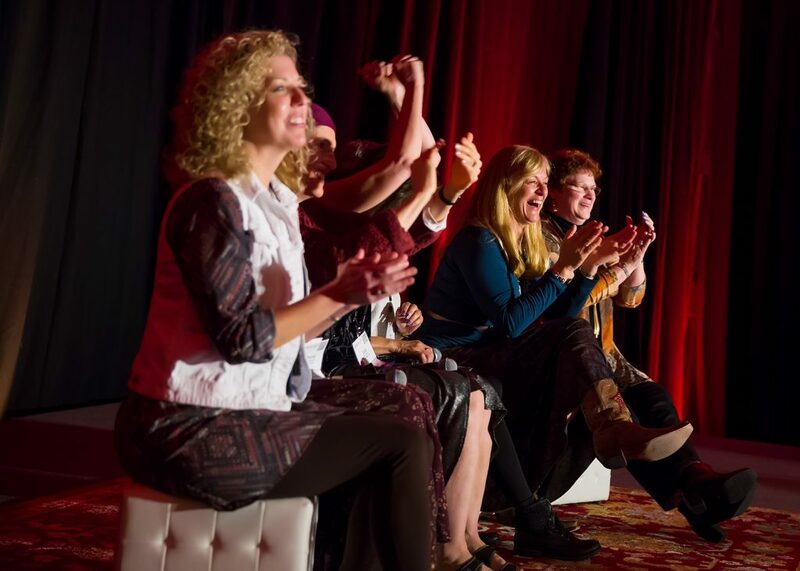 To that end, The Coaches Console team and I learned a TON that we can use to improve our future live events in order to deliver YOU the best possible experience as you strive to make your business one you can fall head-over-heels in love with! I’d love to hear from you—comment below: Which of these strategies will you integrate into your next project or event? Lot of planning to get everything running smoothly. There is definitely planning and preparing to do to create success, sustainable, consistent and scalable income and to receive a return on the necessary investments you’ll need to make to start and launch your business. Of course you could choose the “fly by the seat of your pants” and the “hood it works” approach but that is too high stress and I prefer my investments to be more solid than that. Melinda and Team – Thank you for hosting such an event and for creating the Accelerator Program. I was in even before you started the creation process of these precious jewels. I am thrilled to be participating in your adventure with continuing success and leadership. You all truly shine. 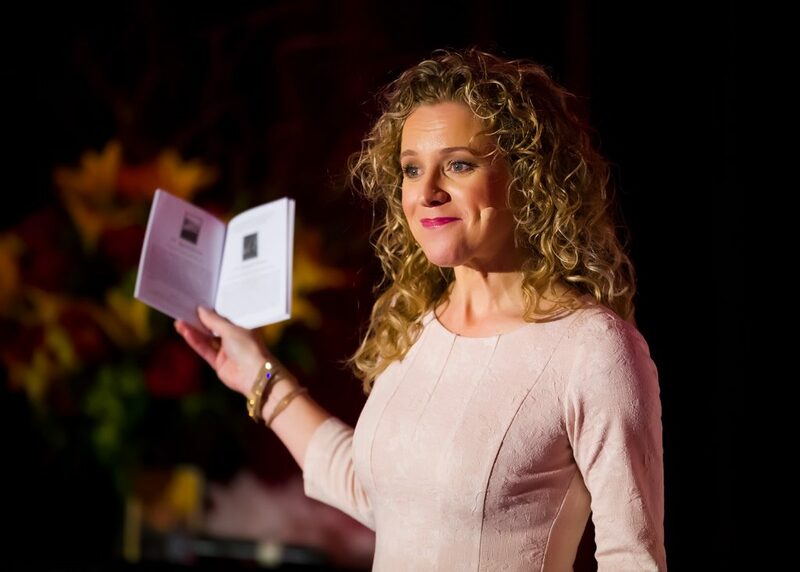 The strategy that I see which will be the most important one for me is exactly what you just did by sharing this learning experience with us through this Top 10 things I learned from doing a live event article. It is your post event review and sharing that seems most important to me, then of course I will strive to model all the points you have chosen to share with us in many aspects of my work. The one I will prioritize right now which will be most helpful is -# 3 Plan far enough in advance so that you can ensure all the details are handled—beforehand. WOW that is a real stress management tool. Thank you! Precisely!!! A great way to minimize stress and to optimize FUN!!! Again, what a fabulous event! And what a great photographer – I love how he captured the emotions in the photos. Thank you for this wonderful summary of learnings. This format of ‘tip’ and ‘how’ is very helpful. My favorite tip (I like them all, but this one is particularly new for me) is ‘create anticipation in all that you do.’ I will think of lots of ways to put this into practice. This is one of my FAVORITE things – create anticipation!!! A simple example is in one email/blog post you send about topic XYZ have a “PS” at the end of the email/blog post that gives a teaser of what you’ll be talking about in your next email/blog post.